It’s true that technology has drastically changed the construction industry in so many ways. But one thing’s for certain: there will be even more technological advances on the construction site – and you may see some of them either today or within the next year. Many tools allow the modernization of a construction job site. Personal computing has eliminated a lot of actual “paperwork.” But there’s already software which is facilitating “electronic compliance” forms that can be quickly completed and sent to the proper authorities. Many surety agencies are even beginning to offer electronic bonding as well. The Internet has also made it possible to connect job sites more comprehensively than ever before. Instead of having to wait days (or weeks) for updated information from clients, architects, or engineers, modern project management tools can cut that time down to hours (or minutes) in most cases. Drones have been in use for surveying, inspection, and aerial photography on construction sites for many years. But tomorrow’s drones will be equipped with sensors to continuously monitor air quality levels, or perhaps high-tech video cameras to provide real-time productivity updates for supervisors and clients. In fact, the drone cameras themselves are becoming smarter. So-called “smart video” systems can identify data in the images they record to fulfill various functions, such as improving safety by spotting workers who aren’t wearing personal protection equipment. They can also tag structures, objects, and items so they can be associated with blueprint data to help assess progress. 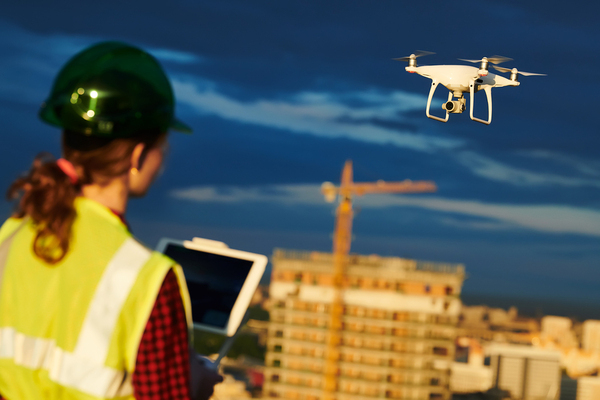 Drones can help construction managers track progress on a job. Technology is even refining the processes by which materials and equipment are utilized. Prefabrication is being aided by 3D printers to produce project-specific parts and components, and mobile project management tools can allow supervisors to view the entire prefabrication process from manufacturing to delivery. Some of this technology will be embedded in workers’ everyday equipment. For instance, a hard hat can be outfitted with tech that can track their location on a job site. These devices can also send out a distress signal if the worker has fallen or receive alerts from management in the event of an emergency. One facet of construction technology that has enormous potential is virtual reality. Instead of looking at a two- or even three-dimensional model, viewers can immerse themselves in 4D models so they can more effectively plan every detail of a project. 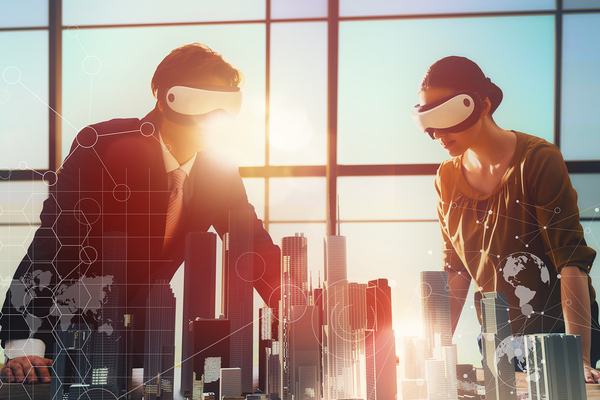 Virtual reality can allow construction managers to plan project details. Similarly, augmented reality can enable workers or supervisors to walk through a physical space and gather helpful data about that environment. Augmented reality tools may include digital leveling, space measurements, angle computation, and object or component placement. Finally, it may not be long before autonomous (driverless) vehicles become a fixture on most construction sites. Imagine having dozens of dump trucks hauling ore, dirt, or refuse that are controlled by a single operator – or a crash attenuator truck being driven autonomously to eliminate the possibility of driver injury due to a collision from a passing car. 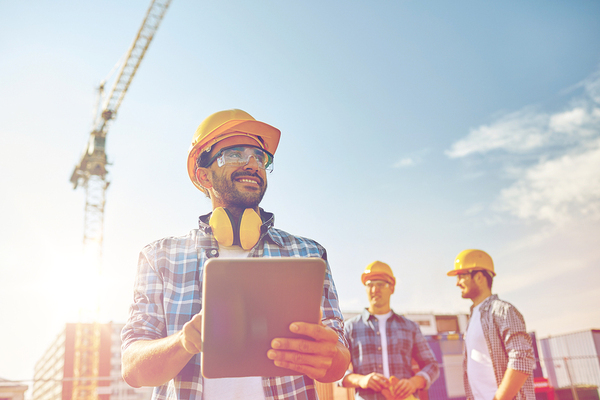 Advanced technology is making the world of construction management even more exciting. And it’s highly likely that today’s amazing new tech will be the equipment that you can’t live without in the years to come. Want to join the growing construction supervisor industry? Take our Construction Supervisor License classes for free.